Well the Christmas and New Year Celebrations are almost upon us. The management and staff at Darts Thailand wish all the darters and followers a very Merry Christmas and a Happy New Year. If past experience is anything to go by “Merry” and “Happy” are the operative words! ! The New Year will bring some changes at Darts Thailand, as far as the editorials go. Miss Tia is being promoted to Editor In Chief, she will bring much needed adult supervision to the DT editorial team! ! 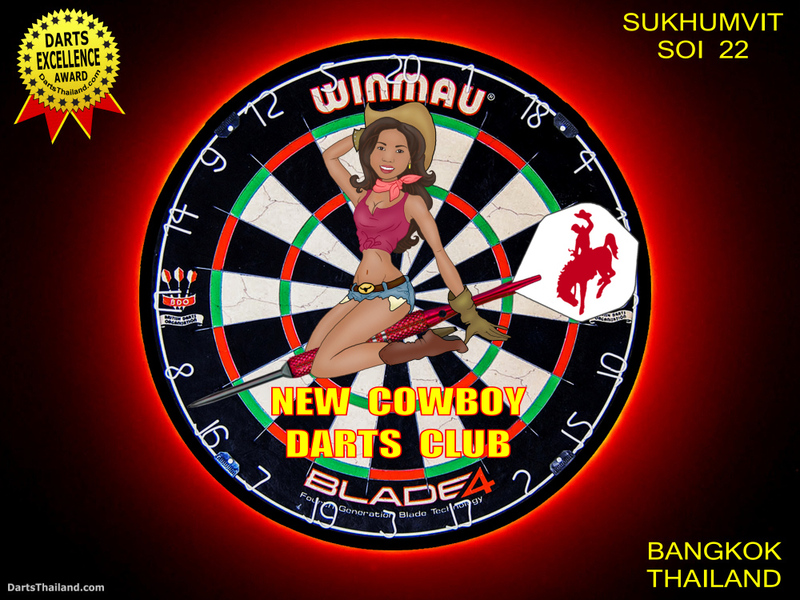 If you are in Thailand, or intend to visit, and fancy a game of darts then New Cowboy Darts Club on Sukhumvit Soi 22, Bangkok will give you a warm welcome. Here darts are played in a friendly atmosphere where you can have a game or two while enjoying some refreshing beverages.